Want to get some extra use from that old enhancive item? We've got just the solution! 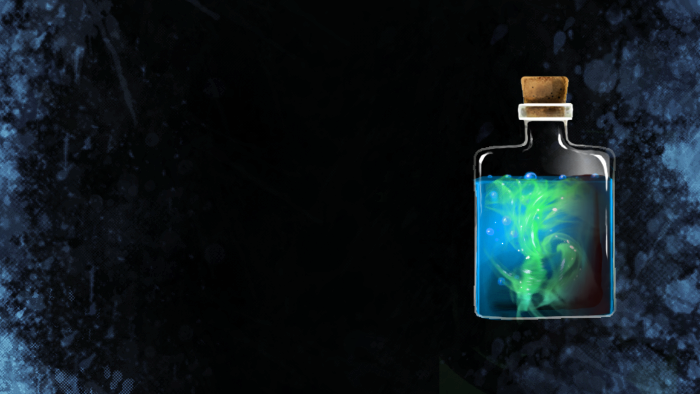 This handy potion will temporarily charge those old enhancive items and get them back into action! Each potion comes with 8 pours, each of which will last for 30 minutes and can be stacked to a maximum of 4 hours. The enhancive item must be commonly rechargable (i.e. via the Adventurer's Guild) and cannot provide enhancive knowledge of a spell. Appearance: "A Twisting Blue-Green Potion"